The Hans Mayer Gallery started with a Josef Albers show in 1965 and concentrated on constructivist art in the following years. 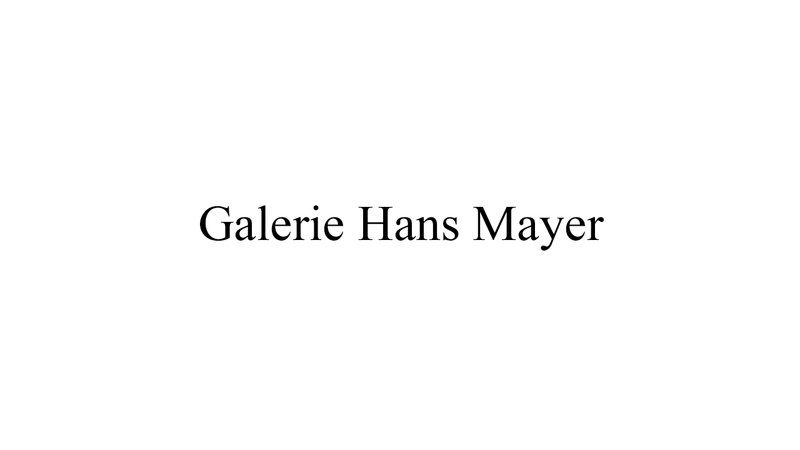 Since 1971 Hans Mayer is based in Düsseldorf. In the 1970s, 80s and 90s the gallery program expanded continuously. In 1969 Hans Mayer was the first to show Andy Warhol in Düsseldorf. The gallery added American artists such as Frank Stella, Ellsworth Kelly, Bill Beckley, Robert Rauschenberg, Roy Lichtenstein and Tom Wesselmann. In 1990 Nam June Paik joined the gallery. Representatives of a younger generation, including Keith Haring, Jean Michel Basquiat, Kenny Scharf, Robert Longo and Tony Oursler followed. European art is represented by C.O. Paeffgen, Ben Willikens, Markus Oehlen and Jürgen Klauke. Apart from gallery exhibitions, Hans Mayer deals in European and American art after 1945. The gallery is also specialized in large outdoor sculptures and since its beginning famous for it’s crossover creative activities such as concerts, theatre, fashion shows and dance.